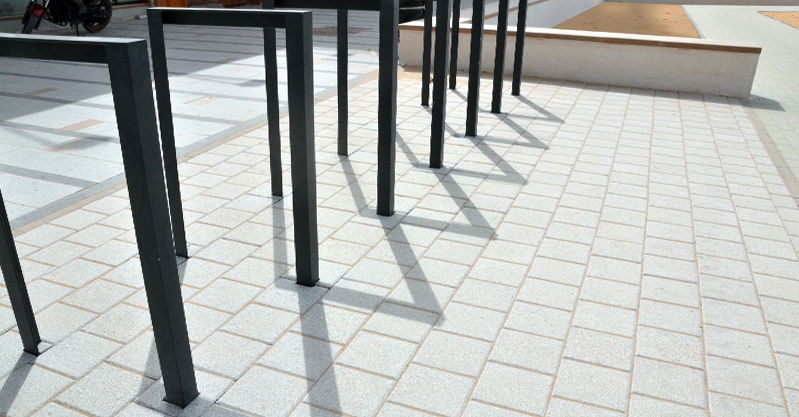 A simple and popular paving solution, the Square paver is an economical paving range with a wide variety of applications. 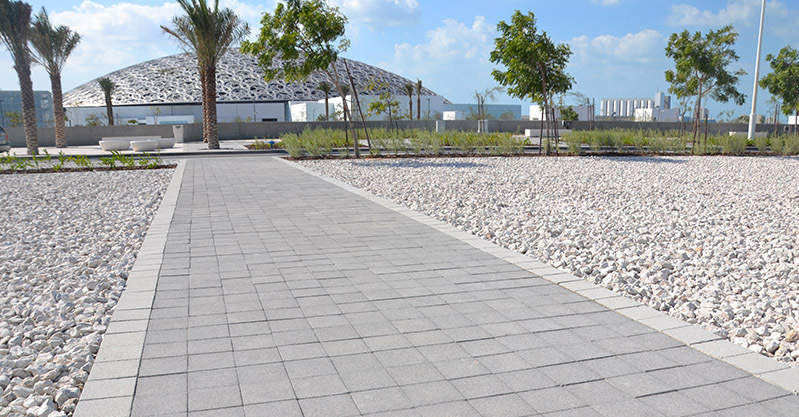 With a good resistance to load, Square pavers are commonly used for walkways and pathways that witness heavy pedestrian and light motor traffic. Easy to pack and ship, the Square shape offers great flexibility in design as they can be used in combination with other paver shapes such as Ladana, Hexagonal and Rectangular to create a variety of interesting patterns. From conservatories to courtyards, the Square is a beautiful and practical paving solution for most paving needs. Employing an automatic German machine, the surface is pummelled by pyramidical chisels mounted on a hammer to create a roughened, natural looking surface. Using Italian technology, two or more colours are blended in a single product to create a custom mix of hues that give any paver or kerb a natural, unique look. Normal finish is the standard, default finish for all concrete pavers made by Transgulf. This finish is also called Factory finish. In this finish, the top surface is blasted with miniature steel balls to remove fine mortar, and reveal the natural chips and aggregates of the paver, tile or kerbstone. An environment-friendly option, Transgulf's exclusive Eco-Pave finish is surface treated to prevent water from seeping through, thus preserving the original visual appearance of the concrete over time. High-pressured jets of water clean the top layer prior to hardening of the surface, resulting in a unique, textured surface that exposes the natural aggregates of the surface. All our products, including pavers, kerbs and tiles are available in a wide range of colours to suit any of your design requirements. Complete customisation is also possible to suit your particular project colour scheme. Please note that the exact colour of a product may vary according to chosen product and texture. Please note that the exact colour of a product may vary according to chosen proinnerduct and texture.